Hotel M is a 5-minute walk from Lau Pa Sat Food Centre, where local dining delights can be enjoyed. Chinatown is a 15-minute stroll away, while VivoCity Shopping Centre is a 5-minute ride from the hotel. 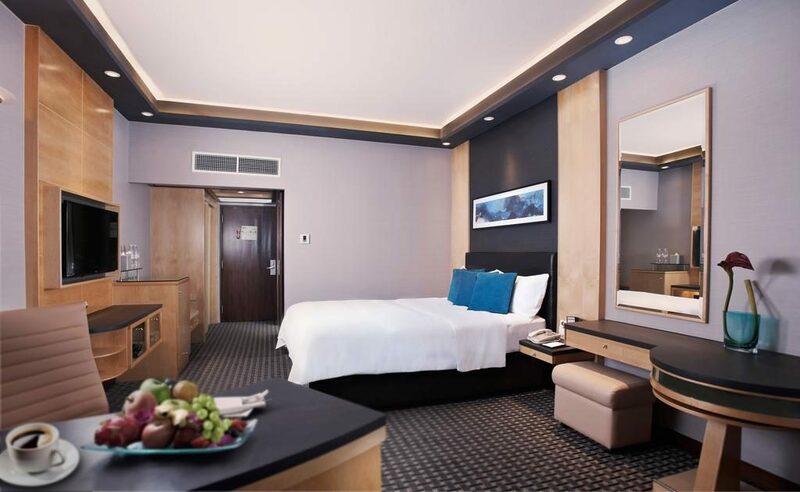 Rooms at M Hotel feature a workstation and flat-screen TV with cable channels including Chinese and English channels. Laptop safe boxes, a handy smart phone and tea/coffee makers are provided. En suite bathrooms feature a separate shower and bathtub. Free toiletries such as free toothpaste and toothbrush are provided in the bathrooms. Slippers are included. Guests enjoy complimentary use of a smartphone with internet data and call functions. For a good work out, guests can head to the well-equipped fitness centre. The hotel also features extensive facilities in the business centre, where guests may also find newspapers provided in languages such as English and Chinese. Cafe 2000 serves Western and Asian specialties, while international cuisine can be enjoyed at The Buffet. For Japanese delights, guests can head to Hokkaido Sushi Restaurant. Drinks are served at J Bar.